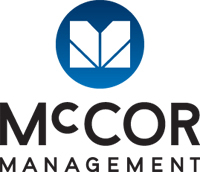 McCOR Management (East) Inc., along with their project partners, Kingsett Capital and CCI Corpfin Capital Inc. are thrilled to announce the launch of a new office offering at Westmount Shopping Centre, located at 785 Wonderland Road South in London above the former Target space. A Broker Open House is planned for Thursday, May 2nd to tour the completed model suite and showcase a unique focal point in this new area, which is part of the multi-million dollar redevelopment currently underway. 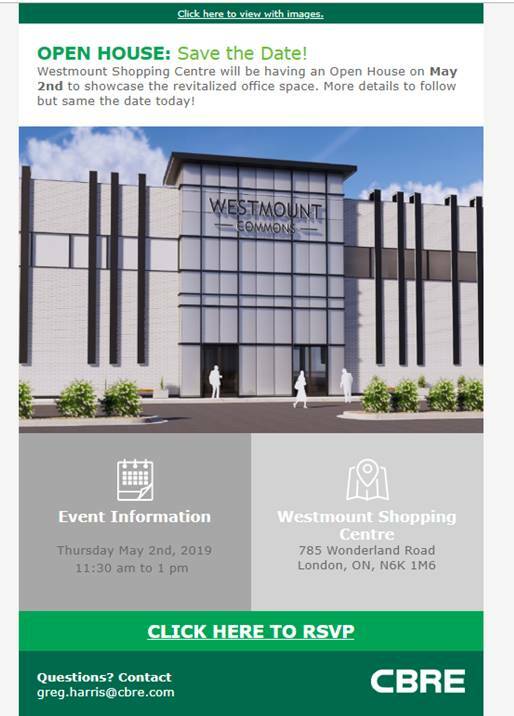 For more information about this or other retail/office leasing opportunities, please contact Greg Harris or Tim Schnurr of CBRE at 519-673-6444 or Tara Harrison, McCOR Management (East) Inc. at 416-895-4485.